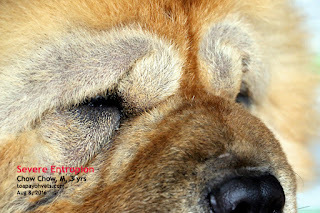 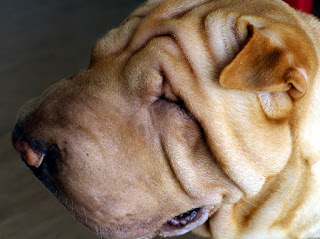 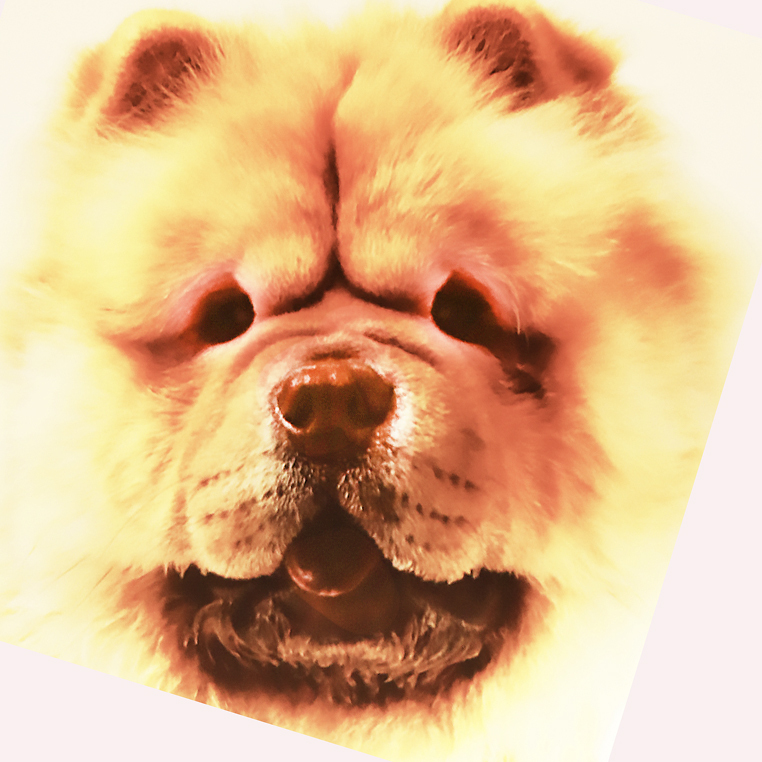 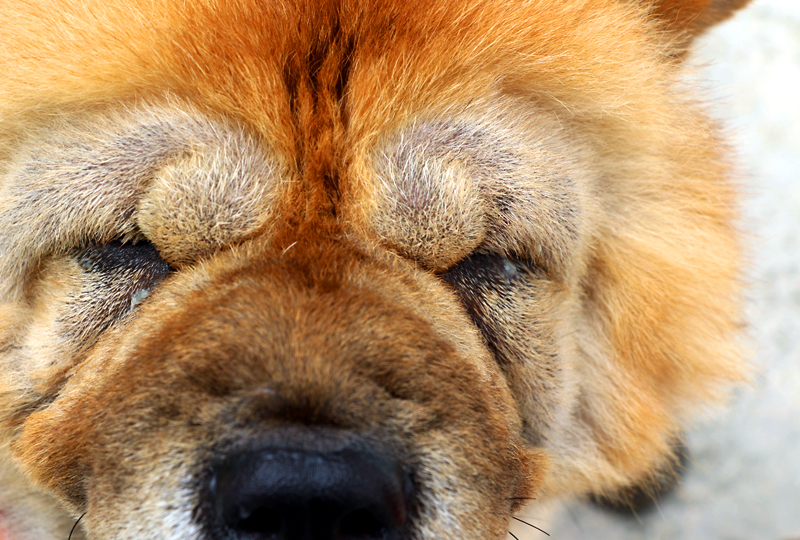 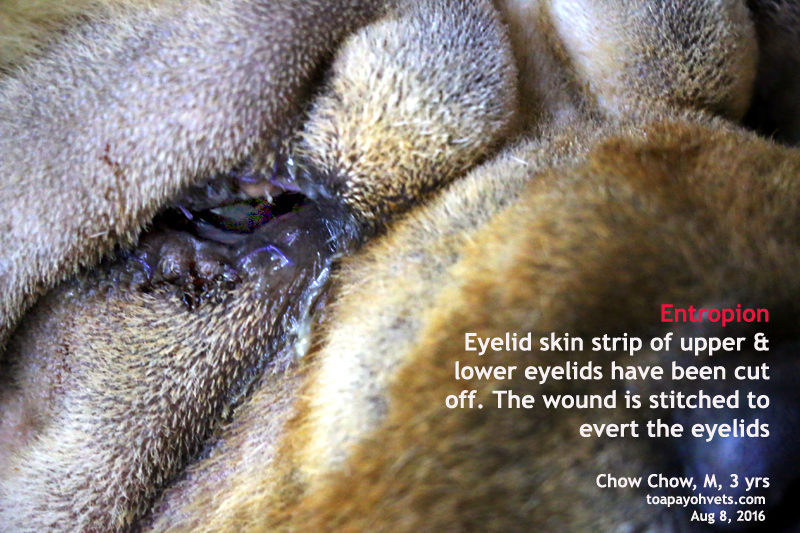 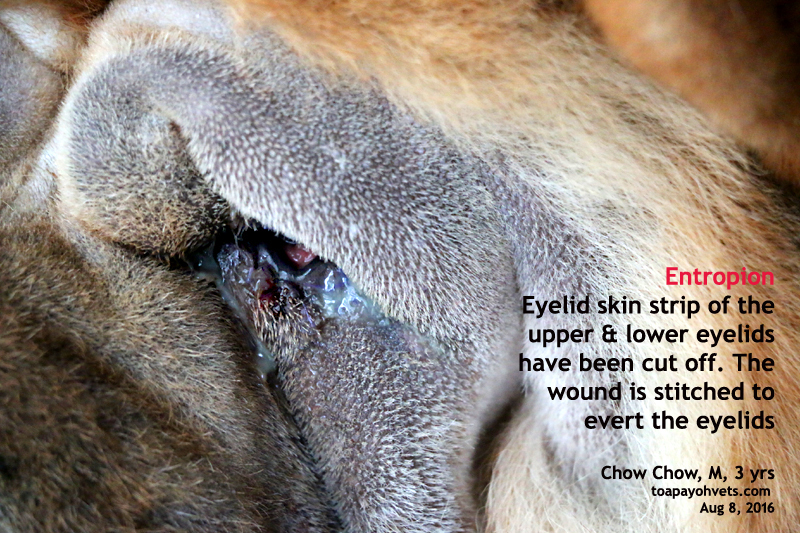 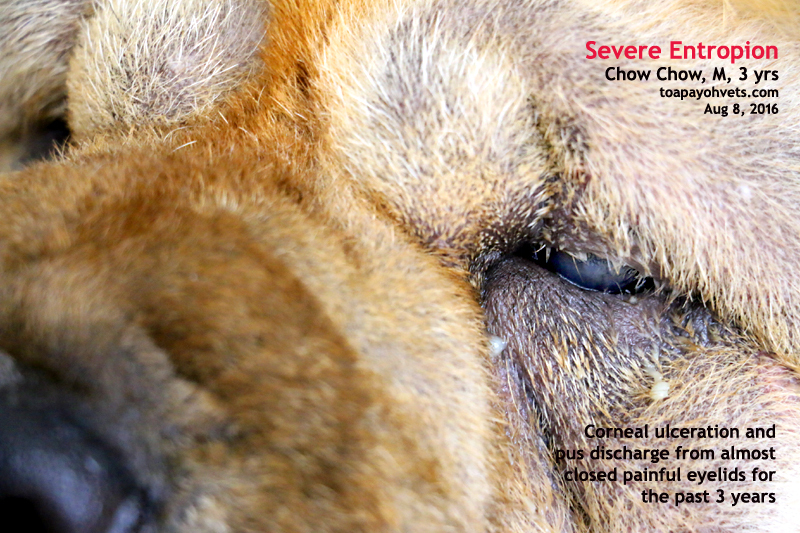 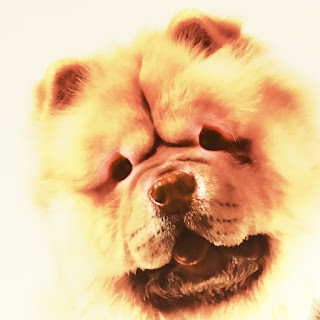 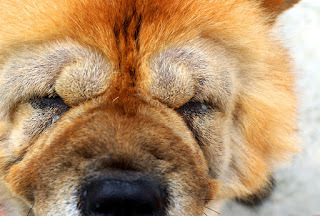 Chow Chow could open his eyelids a bit after 10 days of antibiotics and is "more active" according to the happy couple. 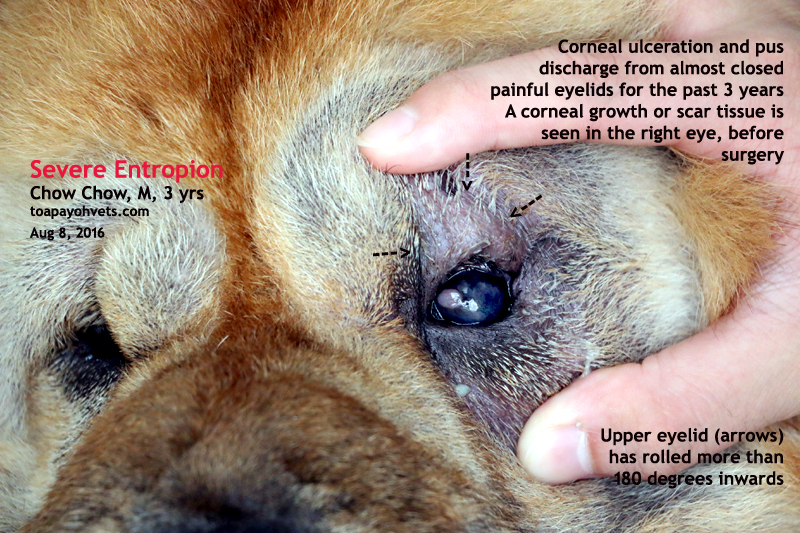 "Why is there a red spot in his left eye?" the wife asked, after the entropion surgery. "It is a big corneal growth of around 4 mm across, due to the past 3 years of irritation by inrolled eyelashes and was present before the surgery," I said. 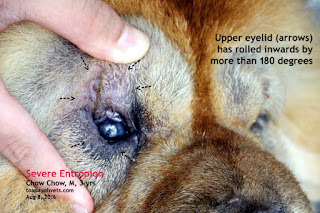 I got some images to prove it but these were not necessary. 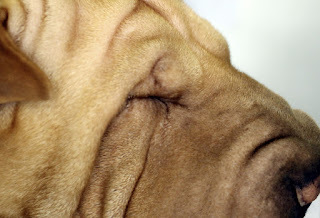 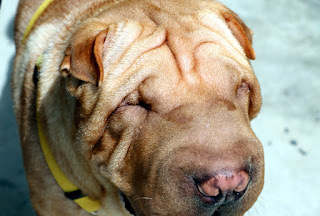 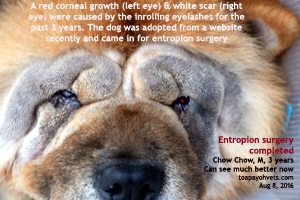 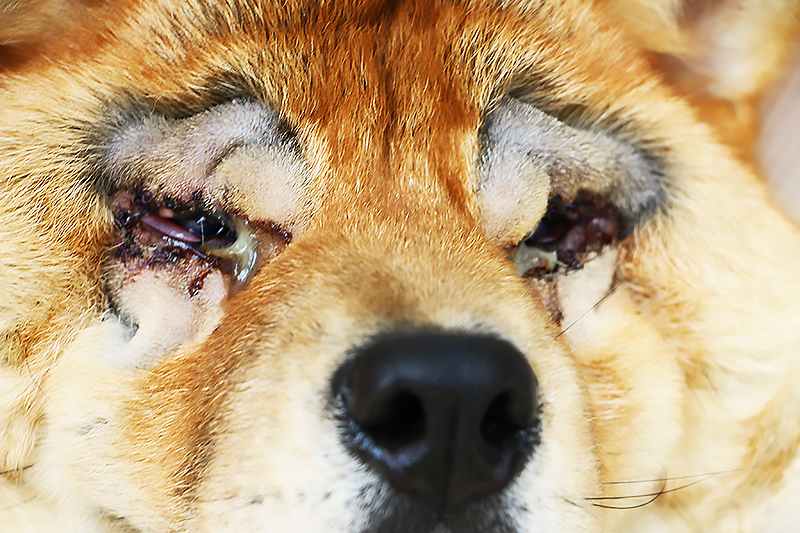 The dog's eyes were shut tight for the past 3 years as the upper and lower eyelids rolled into the cornea 180 degrees and the eye pain was excruciating. 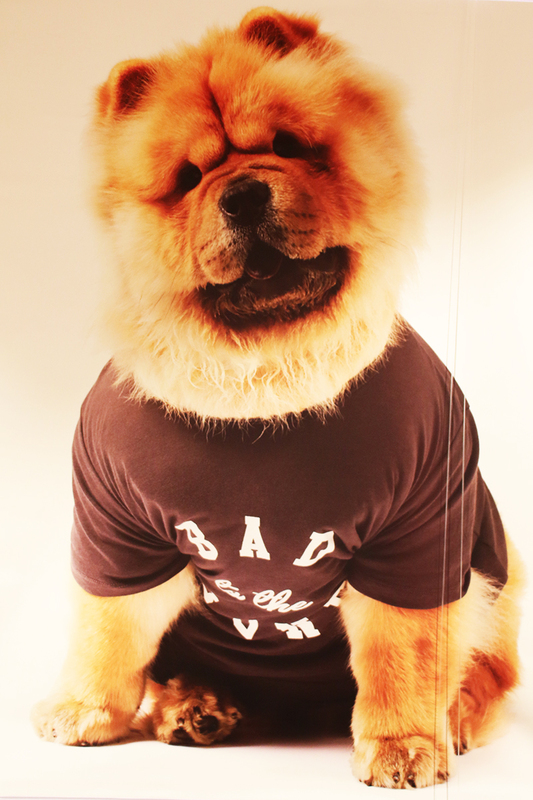 It was fortunate for the Chow Chow that the new owner got him in for surgery.